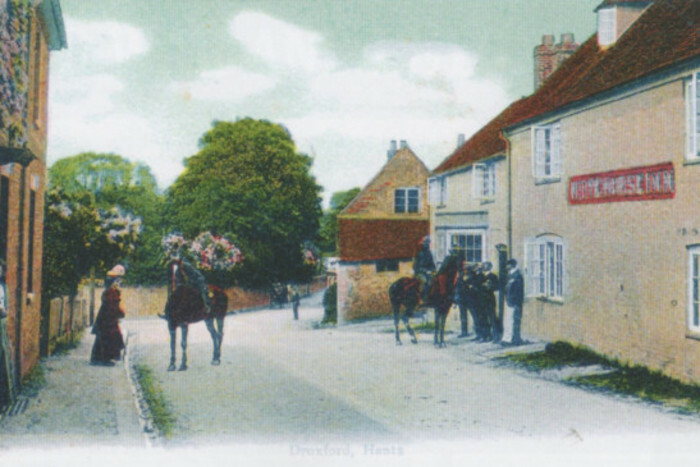 Droxford History Group was established in 2014 and is now in its second full year of operation. It was formed following an open public meeting that showed great local interest in a broad range of historical subjects and some enthusiasm for new research. Annual membership costs the very economical sum of £10 per head. The Group holds meetings every other month on a Thursday in the village hall, 7.30 pm, that include a talk on matters of interest. These generally have a local flavour or some relevance to the area, however tenuous! Details of meetings are included in the events section of the Droxford Community website; non-members are very welcome to attend for a small charge. There are plans to expand activity into workshops on family history research and more general, historical research. We hope to encourage groups of members to research local topics and for individuals to document the story behind their houses. The simplest way to become a member is to come along to one of the meetings, where we will be delighted to tell you more and sign you up. Refreshments are available, at a small price, before and after meetings.